Hand sets for the 1675 have their own variations and controversy. Starting with the same hand style as the late 6542, the hands evolved as the transition from gilt/gloss to matte occurred. While the most obvious change is the small to large 24-hour hand, this is far from the only thing to note, as we will look through below. 24-hour: All gilt/gloss era ‘GMT’ hands should have the small arrowhead and reach to the edge of the dial. For the chapter ring dials, it should extend past the chapter ring. The tail of the arrow should be red, the paint even, and the part of the triangle that attaches to the tail should be flat (not angled or curved, which is seen on aftermarket hands). There have been reports of all red small 24-hour hands, but unless you feel very confident in the seller and your knowledge-base, I would assume all small 24-hour hand arrow tips are bare metal. Hour: The gilt/gloss era hour hands are distinguished by their flatness. “Aren’t all hands flat, you ask?” Well… no. If you look closely at the hour hands of the matte era you can see that they are slightly convex, whereas the hour hands of these earlier dials are completely flat. As far as length, a good rule of thumb is that on chapter ring dials the tip of the hour hand should cross over the 9 o’clock marker and on the non-chapter ring dials, it should not quite reach the marker. Minute: here is were the variations are more easily discernible. There are at least three different minute hands consistently seen on gilt/gloss dials. There does not seem to be a consistent serial association with these and all can be found repeatedly from the early OCC dials to the late non-chapter ring gilt dials – as well as on advertisements throughout that era. They are all, like the hour hands, flat and not slightly convex like their matte dialed counterparts. The first are the pinched tip minute hands that reach exactly to the chapter ring and, as suggested in the name, have a tip that becomes narrow like someone pinched the metal with their fingers. In my opinion these are the most elegant looking. The second option is a broad tip, which is the same dimensions as the pinched tip but has the normal chevron V of a hand tip and comes to a point at the chapter ring. Lastly, we have the short hand. Unlike the other two, which reach out the chapter ring, these hands stop short of the minute indices on both the chapter ring and non-chapter ring. Some have questioned the originality of these hands but there are so many examples of matching radium, patina, and in contemporaneous ads featuring this minute hand that that opinion appears flawed. Second: On the other hand (ha! ), the second hand has much less variation. With the exception of very few early OCC dials that have the white painted lollipop, the vast majority of seconds hands reach to the chapter ring or halfway through the minute indices of the non-chapter ring, which are the same distance from the center of their respective dials. There are some examples with matching patina and a shorter seconds hand but I would be wary and – like everything else in assessing a watch – check for consistency and buy the seller. Note the correct flat hour hands, small GMT hands, and correct seconds hands as well. Matte Handsets: Matte handsets are fairly uniform across the generations and, luckily, there is less to say about them now that we’ve gone through the basics. 24-hour: The first matte dialed iterations, the Mark 0 and 0.5 (i.e. Mark 1 dial with a small 24-hour hand) came with the small 24-hour hand. 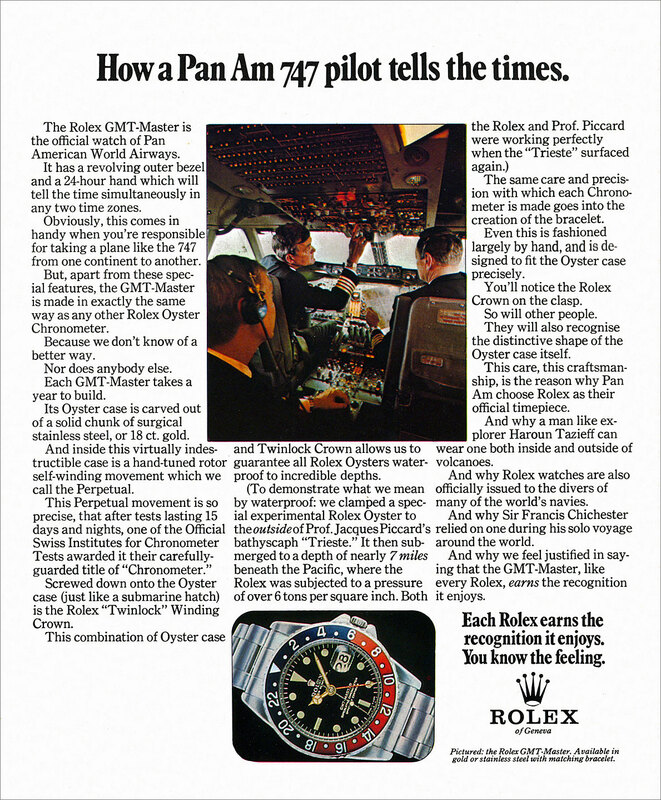 After this Rolex moved on to the larger, more easily readable but brutish 24-hour hand that persists until today. 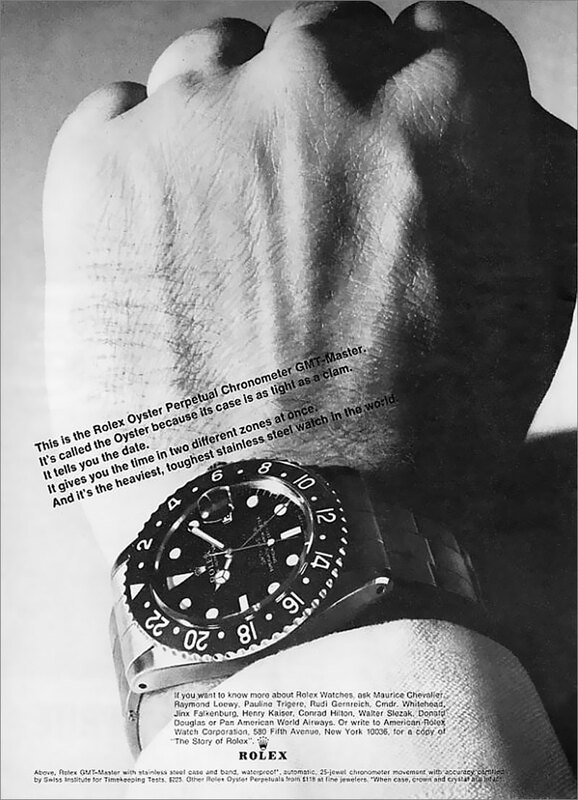 The small 24-hour hand can be seen on matte serials as late as 18xxxxx. The large 24-hour hand reaches halfway into the minute indices and should have a clean edge to the red paint on the tail of the arrow. All Red GMT Hand: ah yes, the controversial all red hand. I don’t know if the dust ever settled but the general conclusion is that that the all red hand is genuine Rolex part. Some say it is only acceptable on matte dials around 1968-1972 and others argue that it is a service hand and therefore depends only on when the watch was serviced. In the end – if you like them you’re going to pay a premium for one so make sure it’s authentic. The red paint of these hands should be immaculate. Anything lumpy paint or spill over onto the lume should be treated as aftermarket. The patina of the lume on these hands tends to run a shade darker than the rest of the watch hands. 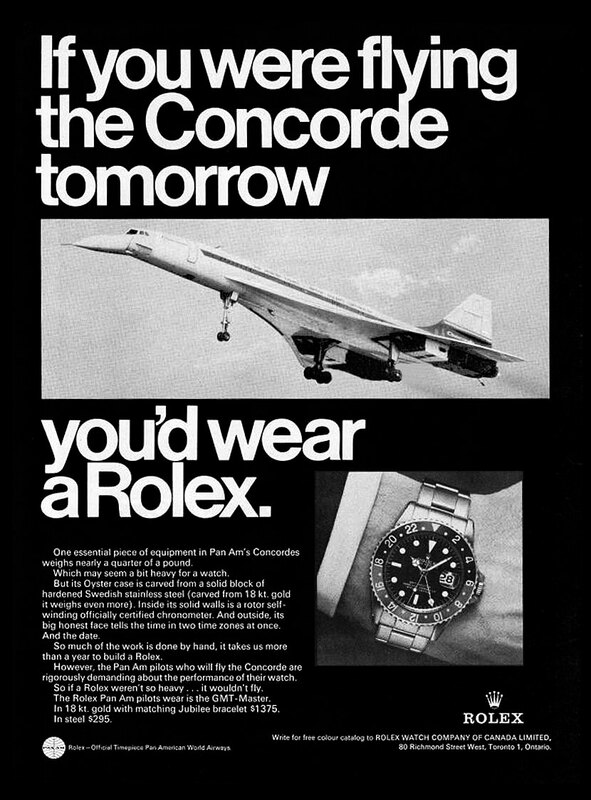 There’s also been mention of a blue GMT hand but I won’t even go there. Hour: as mentioned above, the early hour hands of the matte dial were flat hold-overs from the gilt era and these are generally found together with the small 24-hour hand. After this both the hour and minute hands became convex, similarly around 18xxxxx. 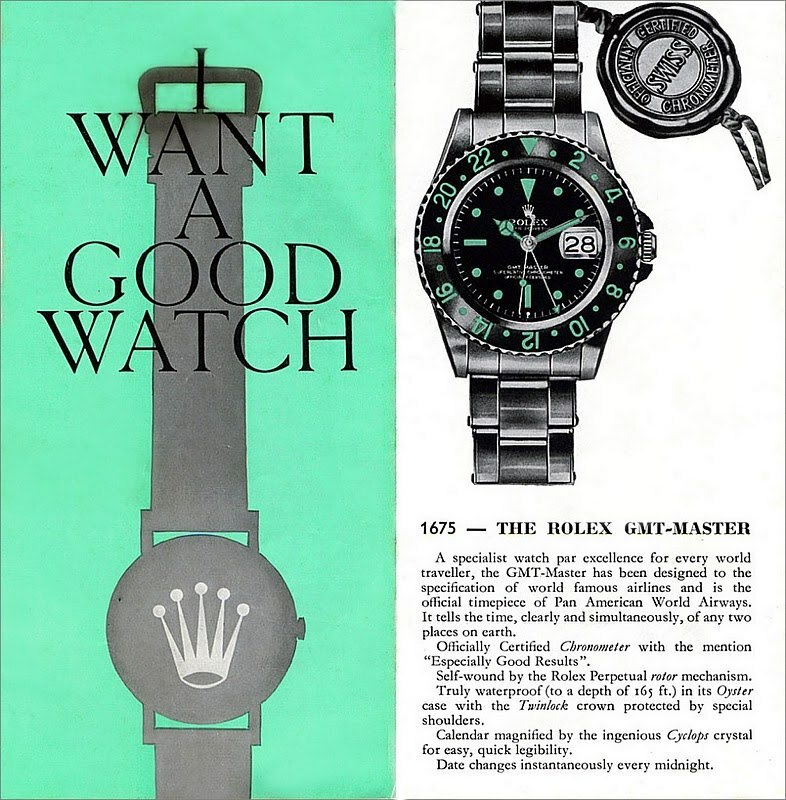 Minute: unlike the variations above, Rolex got it’s act together and the minute hands for the matte dials appear to maintain their length and shape with the tip of the minute hand ending just before the edge of the hour lume plots and well before the minute indices. They become, at the same time as the hour hand, slightly convex. Seconds: similar to the minute hand, there is not much to say on these beyond the approximate length, which is the same as the 24-hour hand and reaches about halfway into the minute indices.